Protest demands justice for the wrongfully convicted | Fight Back! 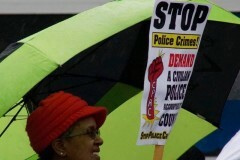 Chicago, IL - A crowd of 20 rallied outside the office of 30th Ward Alderman Ariel Reboyras on March 20 to condemn his record of covering for police crimes and preventing justice for those victimized by police violence. Alderman Reboyras was appointed head of the Public Safety Committee by Mayor Rahm Emanuel in 2015 - the year that the video of teenager Laquan McDonald being executed by former police officer Jason Van Dyke was released. Instead of using that position to hold the notoriously corrupt Chicago Police Department accountable, Reboyras has blocked any community demand to stop police crimes. 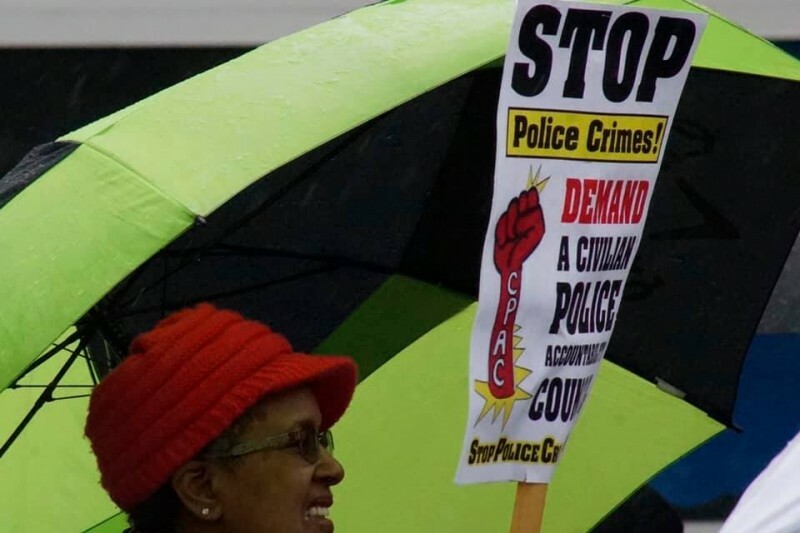 That includes the proposed ordinance for an elected Civilian Police Accountability Council (CPAC), which has the support of nearly 60,000 Chicagoans, but which Reboyras tried to keep out of public hearings and then had killed in committee. Reboyras’ abysmal record was also condemned by Veronica Tirado of Chicago Boricua Resistance, who said, “We are demanding freedom for all of the victims - and now survivors - of racist officer Reynaldo Guevara. We are here because we want accountability for the acts of torture and false accusations committed by Guevara, and from Reboyras’ dirty cover up.” Reynaldo Guevara has been implicated in the wrongful conviction of at least 50 men, predominantly Puerto Rican, 19 of whom have already had their false sentences vacated. Passing cars honked and cheered to the crowd’s chant of “Hey hey, ho ho, Reboyras has got to go!” Reboyras is now tied with Jessica Gutierrez in a runoff slated for April 2. Along with ten candidates already elected to city council in February and 15 involved in run-offs, Gutierrez supports CPAC.